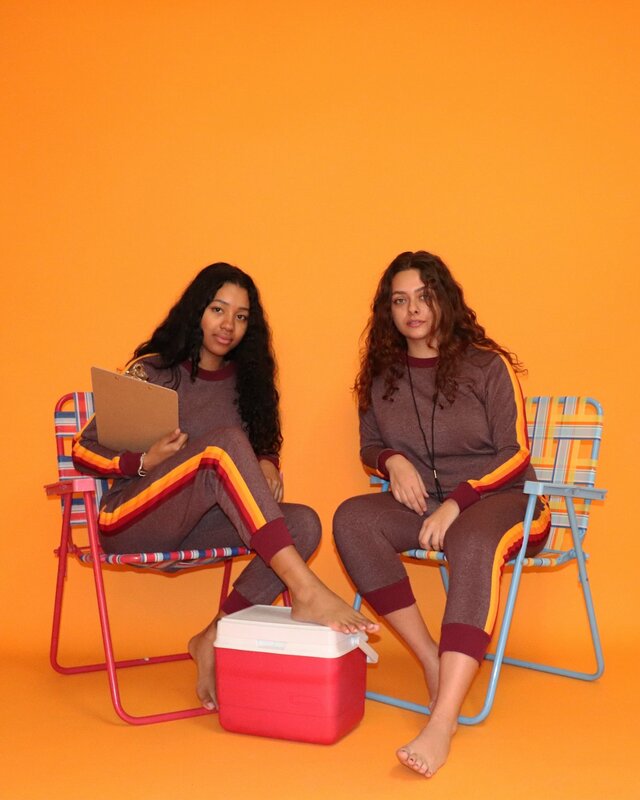 Get ready to run some laps (or take some naps) in our cozy new sweatpants. 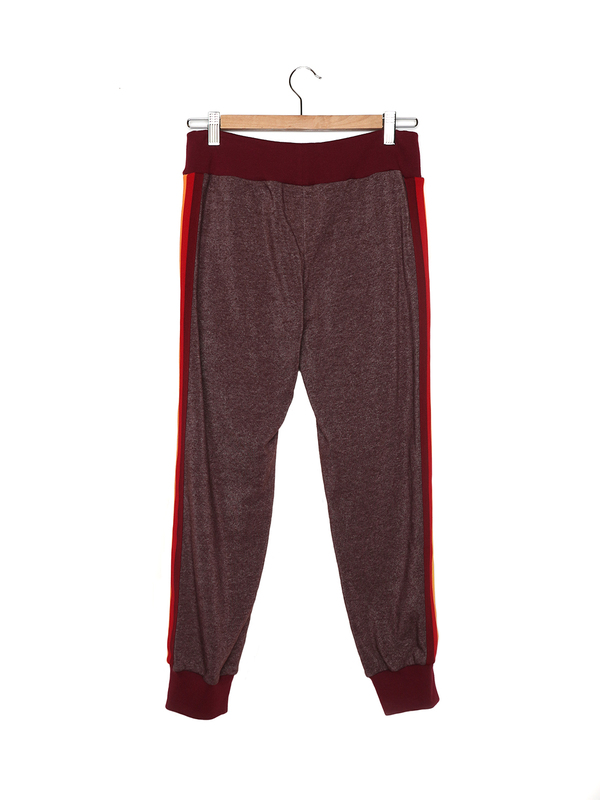 Capri-length fleece sweats with stripe trim down sides. Pockets at front hips. 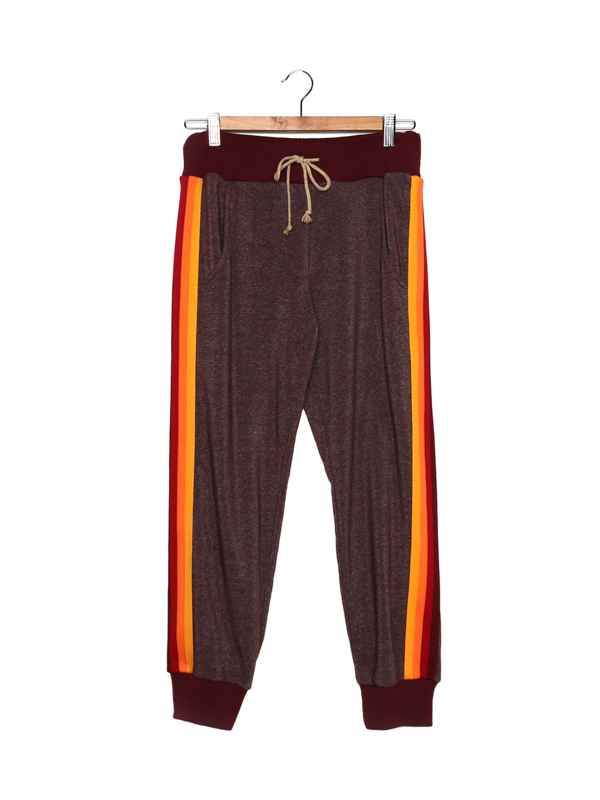 Adjustable drawstring tie waistband. Varsity rib waistband and cuffs. XSmall 24" 25" 33" 10"
Small 26" 25" 33" 10"
Medium 28" 25" 33" 10"
Large 30" 25" 33" 10"
XLarge 32" 25" 33" 10"